The “GRANDS ÉVÉNEMENTS” (Great Events) series, presented by ICI Musique, welcomes the top stars of world music. It gathers artists who have left a significant mark on world music history and no longer need presenting, with their fame on the international stage. At the Metropolis, officially opening the Festival on July 13, celebrate 30 years of raï with Rachid Taha; on July 16, Haitian kompa mainstay Tabou Combo; at the National on July 18, the interpreter of the “New Soul” phenomenon, Franco-Israeli artist Yael Naim. Manu Dibango meets the new generation on July 18, at the Théâtre Fairmount. The father of world music passes the torch to Montréal’s new artistic generation. On stage, artist-ambassadors Veeby, Élété and Rookie Rook will perform new world music sounds and will pay tribute to him. Manu Dibango will be the guest of the Syli d’Or 2016 grand prize winner, the Cuban group Proyecto Iré. A unique evening event reflecting this 30th anniversary! 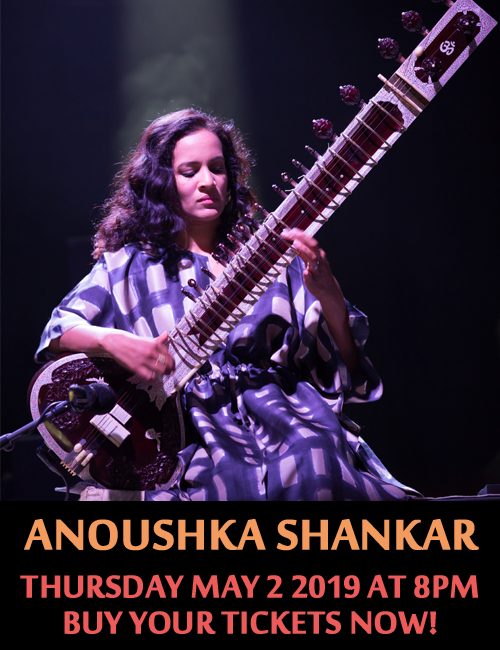 The “RÉVÉLATIONS” series features the new ambassadors of world music. Talented artists, among the most promising, are coming from the four corners of the world to present the effervescence and new colours of world music. At the Théâtre Fairmount, the public can discover the vintage Afro-funk of Vaudou Game (Togo) on July 12; an atypical meeting of cultures offered by BKO Quintet (Mali) on July 13; the young winner of the 2015 Prix Découvertes RFI, Elida Almeida (Cape Verde) on July 14. At the Club Balattou, the pairing of desert blues and Mississippi blues with Faris (Italy/Sahara) on July 19 and the 2016-2017 Révélation Radio-Canada, Ilam (Senegal/Québec) on July 21. The “PRESTIGE” series at the Gesù is imbued with charm and elegance. In a special place, the audience is conveyed to a genteel world to experience magical moments, where emotion rubs shoulders with grace. Spectators will be beguiled by the intriguing Ana Alcaide (Spain/Mediterranean) on July 23; and by the age-old musical heritage recited by Morikeba Kouyaté (Senegal), a seventh-generation griot, and Zal Sissokho (Senegal/Québec) during the Nuit de la Kora (Night of the Kora) on July 24. The “URBAN AFRICA” presented by series is dedicated to deconstructing myths associated with this far-away continent. Blended pop and percussive hip hop showing these artists’ ability to appropriate the beats Africa has inspired, with flair and personality! On the program: At the Club Balattou, the progressive maloya of Grèn Sémé (Réunion) on July 12; the percussive hip hop of A2VT (Somalia/Tanzania/Congo) on July 13; and the uninhibited African reggae of Dakka (Côte d’Ivoire/Québec) on July 18. At the Théâtre Fairmount, the return to sources of the sparkling Inna Modja (Mali) on July 15. The “NUITS D’AFRIQUE SOUND SYSTEM” series, presented by CISM, will be taking over the Sala Rossa. It shows just how much world music is an infinite source of creation. It forms the Montréal hub of world 2.0. As headliners: Canicule Tropicale joins the famous British DJ and Soundway Records (UK) founder Miles Cleret on July 16; and Montréal reggae-sphere benchmark Pull-Up Selecta, will bring together Krak in Dub (France), Dirty Dubsters (Ireland), The Goods Soundsystem (Québec) and the Pull-Up Selecta Crew (Québec) on July 23. 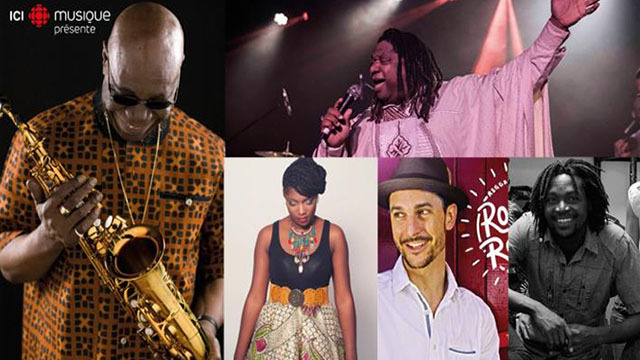 The “ÉTOILES NUITS D’AFRIQUE” (Stars of Nuits d’Afrique) series is the night-time concert get-together at the Club Balattou starting at 11 p.m. Nine events, each one-of-a-kind, centred around three host artists and their guests. Exclusive gatherings, a blending of cultures. Free concerts for all festival-goers holding a ticket to a Nuits d’Afrique show. Three decades, three Stars! On the occasion of its 30th anniversary, the Festival offers a third series of Stars, to be celebrated well into the night! Salamate Gnawa (Morocco/Québec), July 12, 13 and 14. African origins with Salif Sanou, known as “Lasso.” From Morocco to Algeria with Abdelhak Benmadjbari. Salamate Gnawa & Friends. Gotta Lago (Côte d’Ivoire/Québec), July 17, 18 and 19. Nations tribales with Maxime Éthier. Acoustic Africa with Sadio Cissokho. Zouglou Ambassade with Bobo William. Senaya (Guadeloupe/Senegal/Québec), July 20, 21 and 24. Urban groove with Drê-d and Élété. Afro with Seydina N’Diaye and Zal Sissokho. Caribbean-Africa with Vovo Saramanda and Jean-Christophe Germain. This will put a fine end to the Festival on Sunday, July 24. “VOIX DU MONDE” (Voices of the World) series, at the Club Balattou In solo, duet or trio performances, their voices are the instrument of their art. Extraordinary voices for an original series! To be discovered: Nano Stern on July 14, the “top young Chilean songwriter-composer of his generation,” according to Joan Baez; Kareyce Fotso (Cameroon) on July 17, the spiritual daughter of André-Marie Tala; and Daby Touré (Senegal) on July 20, taking an insightful, authentic, sincere and touching look at Africa. Rendez-vous Mandingue with Adama Daou and special guests (West Africa / Québec), on July 16 at the Théâtre Fairmount – The full power of Mandinka identity will explode on stage in a fireworks of energetic drums, hypnotizing instruments, frenetic dances and ancestral costumes, led by storyteller, percussionist and balafon player Adama Daou.